Nate, they aren’t playing each other. 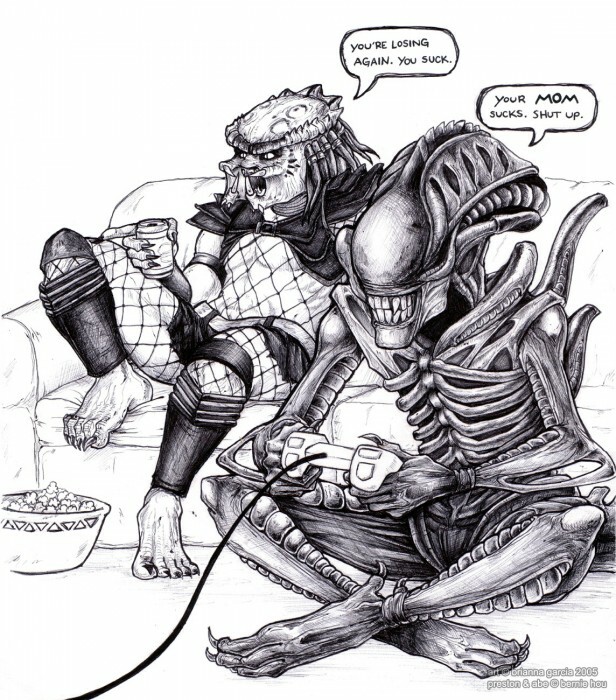 Only Alien is playing. Also, was Predator always wearing fishnets? Yup, just like a middle aged lady of the night. They are being adversarial, in a friendly way, in real life. That is exactly what I thought of too!